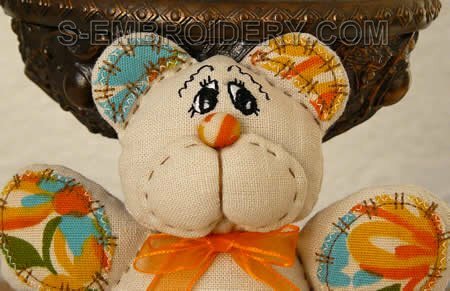 This machine embroidery set is used to create a cute teddy bear soft toy. 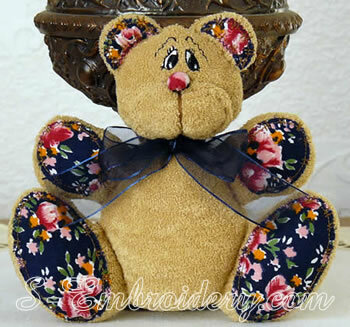 The finished bear would be approximately 6 inches (15 cm) tall. 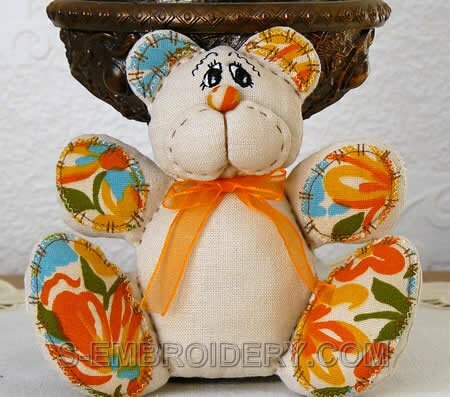 The set includes 4 machine embroidery files and illustrated step-by-step instructions in PDF format for creating the teddy bear. 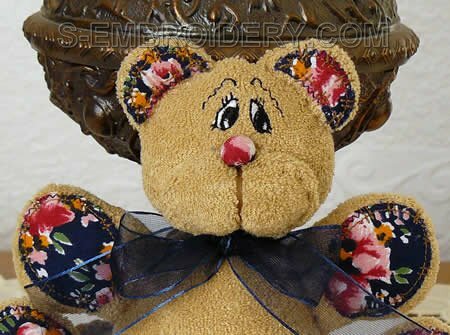 On this page we have shown 2 examples of teddy bear soft toys which were created with this set and additional materials (e.g. suitable fabric, ribbon).